A timeshare can be a frustrating and even infuriating purchase. Lies, scams, and general dishonesty can lead you to wonder how to get rid of a timeshare. You may have been led to believe that this is impossible, but rest assured it is not. Read on to learn more about getting rid of a timeshare for good. Buying a timeshare is easy. If you have purchased a timeshare, you know that you have to put forth very little effort to buy it. Usually, the timeshare company calls you and offers you a free two-night stay at a local resort. Complete with vouchers for the resort restaurant and maybe even a free round of golf. You probably wondered “what’s the catch?” No catch, they’ll say, you just have to listen to a short presentation with no obligation to buy. You probably thought that sounded reasonable and very-low risk so you accepted. You enjoyed your stay and were feeling quite relaxed by the time the presentation came. You may have even gotten free appetizers and cocktails during the presentation. As the presentation started, the timeshare company pulled out all the stops. Videos, testimonials, slide shows of amazing vacations. It seemed like a dream. You were probably even offered additional incentives to purchase a timeshare. It seemed too good to be true, but there it was. You took the plunge and purchased a timeshare. Once you got back home and the dust settled, you may have found the luster of owning a timeshare has worn off. You may find yourself wondering how to get rid of a timeshare and feeling like there is no way out. There are a variety of reasons you may want know how to get rid of a timeshare. Perhaps your timeshare is too expensive. The maintenance costs associated with your timeshare can increase, making your payments more than you can afford. Or maybe your timeshare has stayed the same price but your financial situation has changed. A timeshare is a long-term commitment and a lot can change during the time you own it. Another reason you might need to know how to get out of a timeshare is that you cannot go on the vacations you want to. During the presentation, you were probably promised that you would be able to spend, trade, and save your timeshare points flexibly. However, according to the calls our timeshare exit team gets, this is often not the case. An inflexible timeshare can make your vacations less enjoyable because you aren’t able to go where you want, when you want. Instead of the beach, you may end up spending your vacations at a hotel in Cincinnati. Or you may end up skipping your vacations altogether because the timing does not work out with your work or school schedule. Regardless of your reason for wanting to know how to get rid of a timeshare, you will find that getting out of a timeshare can be difficult. The resort and timeshare company will give you the run around and try to convince you that it is impossible to cancel your timeshare. In fact, the timeshare company will direct you straight to their legal team, who are experts in making sure you stay in your timeshare. A timeshare attorney will convince you that if you cancel your timeshare, it will ruin your credit. They may even suggest that the only way out of your timeshare is to declare bankruptcy. Our timeshare exit team is here to tell you that this is simply not true. While it is difficult to learn how to get out of a timeshare, it is not impossible. 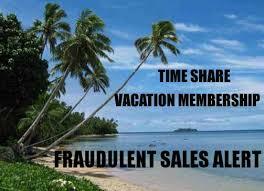 The fastest and most simply way to get rid of a timeshare is by doing a timeshare cancellation. Our experts on our timeshare exit team have done a number of timeshare cancellations and we have many happy customers. We can write a resort authorized cancellation letter that will get you out of your timeshare contract. Stop making expensive monthly payments on a timeshare you don’t want or need. Call us today to get your timeshare cancelled. We are open all day, every day. We are standing by to help you.